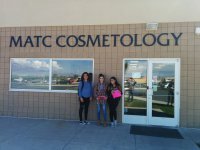 Today’s Friday field trip with Mr. Sudweeks was to the Cosmetology School at the MATC in Spanish Fork. They had a fabulous time learning about hair, make-up, eye lash and nail programs. It was a great experience for those who attended. 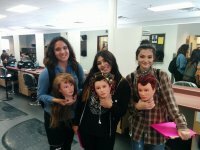 They found out ways that they can get high school credit while getting their cosmetology license. They loved their tour! Thanks Mr. Sudweeks for this experience!